With Denplan Care your fixed monthly payments help you to budget for regular, affordable preventive dental care, without the fear of costly and unexpected bills. For an affordable monthly payment, Denplan Care provides regular, preventive dental care and is designed to offer long- term oral health care for as long as you remain a member. Preventive Dental Care is the modern way of helping you keep a healthy mouth. It helps you to keep your teeth, and means you need to have less dental treatment. The two main causes of tooth loss are decay and gum disease. The better we prevent or deal with these two problems, the more chance people have of keeping their teeth for life. When the dentist, hygienist and patient work together, this can help to prevent the need for treatment and avoid the traditional pattern of fillings and extractions. Your dental team may recommend a course of treatment to get your mouth into good condition, and then work out a 'maintenance plan' to help you keep it that way. 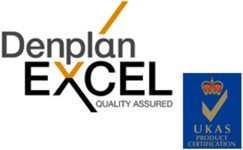 At Zing Dental Clinic we are committed to an all round programme of preventive dental care and we are delighted to be one of the few practices to achieve Denplan Excel accreditation this year. In simple terms Excel is a quality standard. It has been developed in conjunction with the British Dental Association and The Royal College of Surgeons. The objective of Excel is: ‘to place you, the patient, at the centre of all activities’. It also includes Supplementary insurance and Denplan’s Insurance Services.